Former Chancellor of the Judiciary, Carl Singh says Guyana’s judiciary “has survived a testing period” characterised by one of his predecessors calling on the judiciary to toe a socialist line in support of the then government, affixing of the People’s National Congress’ (PNC) flag outside the Court of Appeal and then President Janet Jagan tossing court papers over her shoulder. Saying that loyalty is to the constitution and laws, he recalled that a then Chancellor of the Judiciary in 1981 had, in address to the Guyana Bar Association, linked the necessity of the rule law to create the right environment for socialist orientation and nation-building which are the dominant preoccupations of parliament and the then government. Singh further recalled that the then Chancellor had stated that the judiciary then was a necessary part of the political, economic and social system and the judiciary should consider itself as having a crucial role to play in that task by ensuring that in the all-important field of socialist development, basic values like the rule of law and justice were to be maintained. The then Head of the Judiciary, he further recalled, had stated that the high point was that while he maintained his judicial conscience, the Guyanese judge was expected to cooperate with the administration for the advancement of socialism. Former People’s Progressive Party executive member and former House Speaker, Ralph Ramkarran (standing) poses a question to former Chancellor of the Judiciary, Justice Carl Singh (sitting). 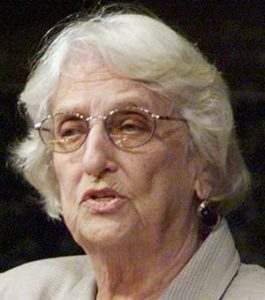 Justice Victor Crane served as Chancellor of the Judiciary from 1980 to 1984 at the peak of then President Forbes Burnham’s-led PNC government’s experiment with cooperative socialism. Reacting to Justice Crane’s views, Justice Singh remarked Wednesday night at a University of Guyana (UG)-sponsored lecture on “The Constitutional Guarantee of Fundamental Rights and the Citizen”, said to “have asked the judiciary to assume a critical role in the furtherance of a political ideology and to prescribe its cooperation with the political administration in the advancement of that ideology struck the very foundation of the separation of powers doctrine”. 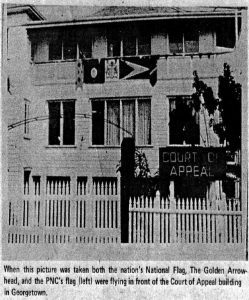 Against that background, he clearly referred to the flag of the then governing PNC having been affixed to an outer wall of the Court of Appeal building in Kingston, Georgetown. 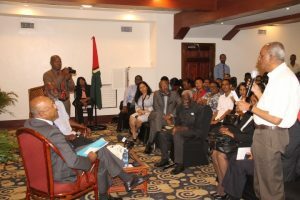 He noted that although the constitution describes Guyana as a country in transition from capitalism to socialism, he credited the judiciary with reclaiming its independence. “The judiciary, with the passage of time, has reasserted its independence and its neutrality. Over the years, the judiciary of Guyana has shown by its decision, its concern not for socialist transformation, wherever that is happening, but for the fundamental rights of the people and the maintenance of the rule of law,” said Singh who served as acting Chancellor of the Judiciary from 2005 to 2018. Justice Singh, who is currently Jurist-in-Residence at the UG, said appropriate public statements and actions from national leaders “help considerably to instill public confidence in the judiciary which is so very necessary for the effective functioning of our courts”. However, that was respect and support, he said, was shattered in 1997 when then President Janet Jagan had tossed a court order by then Chief Justice, Desiree Bernard, over her shoulder on to the floor behind her at State House. “This act was captured on camera. It was shown on national television. It was a contemptuous and disrespectful act which substantially injured the image and authority of the judiciary,” he said. Former long-serving member of the People’s Progressive Party (PPP), Ralph Ramkarran, noted that Mrs. Jagan had apologised for her action, but suggested that the PNC was yet to apologise for having its flag affixed to the Court of Appeal building. “You didn’t mention, but she did apologise after tossing the document over her shoulder, ex post facto…I haven’t heard an apology about placing the flag on the Court of Appeal but that’s by the way,” said Ramkarran who is also a former House Speaker.